Power that's easy to use and easy to move. 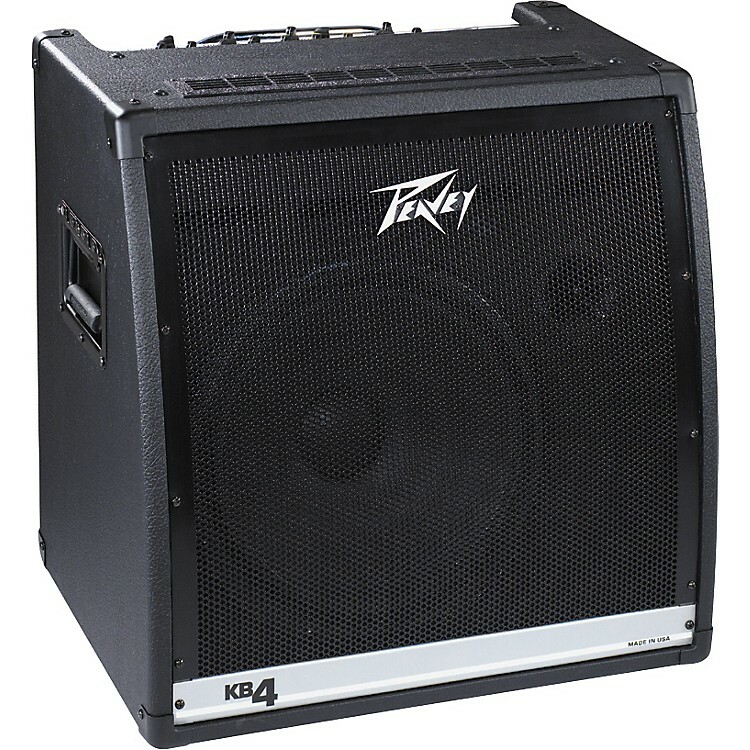 The Peavey KB 4 Keyboard Amp and PA system has separate inputs on each channel and can easily handle voice, microphones and other instruments, including acoustic and electric guitars, drum machines and backing machines, as well as CD and DAT players. Other essential features of the Peavey keyboard amp include stereo effects loop, ground lift, master level, XLR out, DDT w/defeat switch, and the power to drive an external speaker. The keyboard amp includes a 15" speaker and tweeter and generates 75W to drive the internal speaker or 100W with external speakers. The stereo mixer has 2-band EQ and main effects send/return. The Mic/Line channel has 3-band EQ and effects send/return plus monitor input with level control and assign, and a headphone out with level control. Built-in casters and handle make it an easy moving amp and PA system.